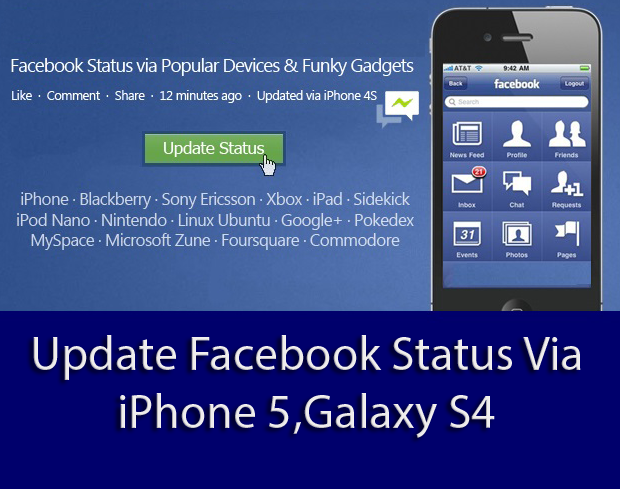 Update your facebook status via many devices. For example phones like iphone 4s, iphone 5, samsung galaxy s2 and samsung galaxy s3 ,Samsung Galaxy Mini ,Samsung Galaxy Note, aswell as Blackberry or computers. Just select the one you want below.